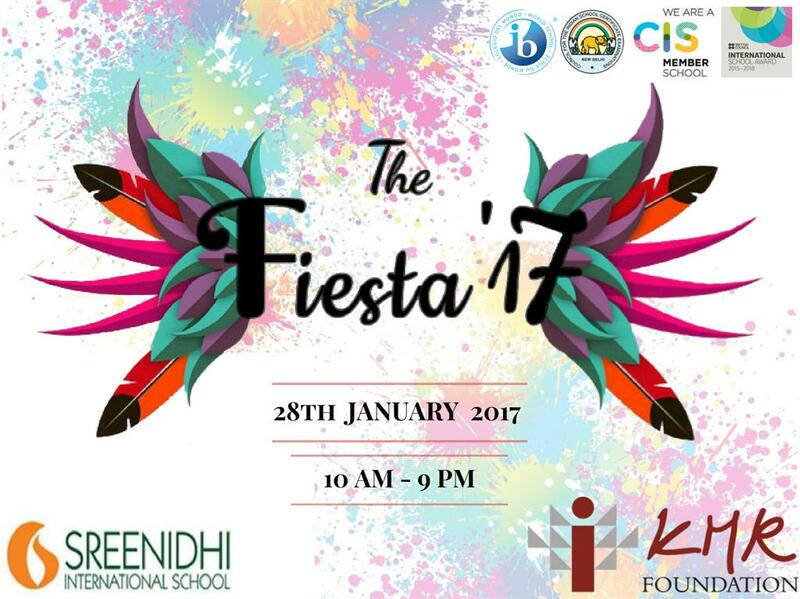 The Fiesta—2017—a fund raiser program which has been happening since 2012 in the month of January every year has been organized and conducted by the Sreenidhi International School Students this year on the 28 January 2017. The program was aimed at collecting funds to be spent for the developmental programs under literacy and Healthcare in the adopted villages of Moinabad Mandal, R.R.DT, Telangana by the KMR Foundation. The funds will also be utilized to sustain the programs already initiated and implemented like maintaining the Solar Panel provided, provision of additional Computers in the Computer Learning Centre that has already been set up in the year 2014 and maintenance of the Computer Centre in Aziznagar village. ü Supply of furniture to one Primary School in Aziznagar which has 2 rooms with 70 students from grade 1 to 5 for the students as well teachers. ü Providing cup-boards and other essential material as requested by the headmasters. ü Repair and maintenance of Solar panel provided already in the year 2013.
ü Provide furniture to the second school that has 130 students from grade 1 to 5.
ü KMRF-has provided furniture to 2-classes already. The remaining classes will be provided with furniture. ü Also provision of teaching –aids, activity kits and upgrading Library resources that would help children enhance their learning ability. ü As a whole to see that the children get quality education.